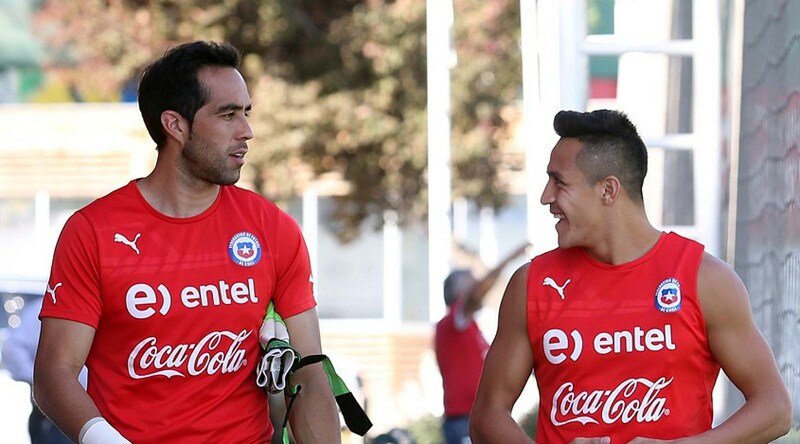 Before the start of the Manchester City vs Arsenal game last Sunday, Alexis Sanchez had the opportunity to reunite with his fellow compatriot Claudio Bravo. They were involved in a conversation in which Sanchez asked him a very crazy and hilarious question. The Citizens were asked to wear a shirt bearing the name of Iikay Gundogan who got injured prior to the game and was ruled out for several months. Many though it was an unnecessary gesture for someone who merely got injured. That's true. They acted as though the dude lost his life. Bravo then took time to disclose who Gundogan is after which Sanchez laughed and said "I don't know anything". Lol. It's quite surprising that Alexis doesn't even have an idea of who Gundogan is despite the German's popularity.